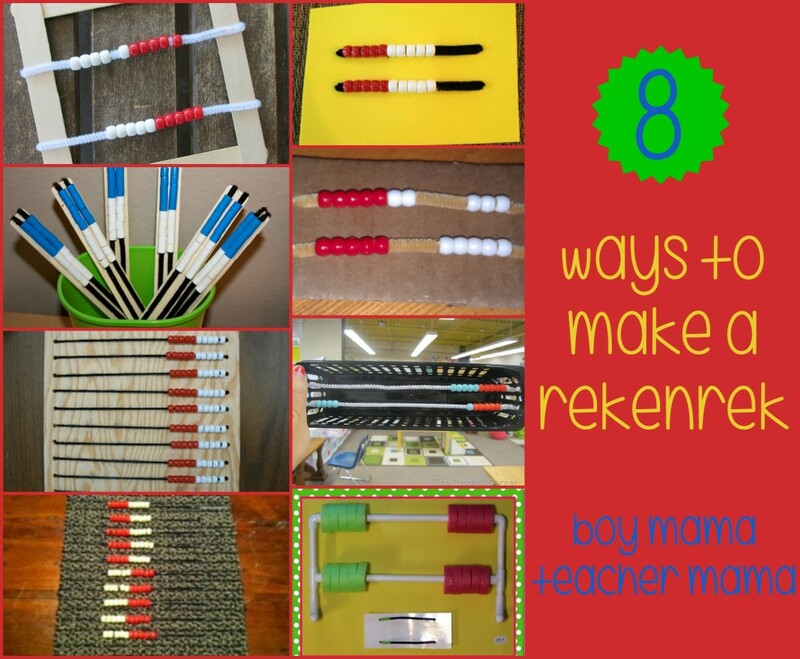 Recently we shared a post called, 8 Ways to Make a Rekenrek. 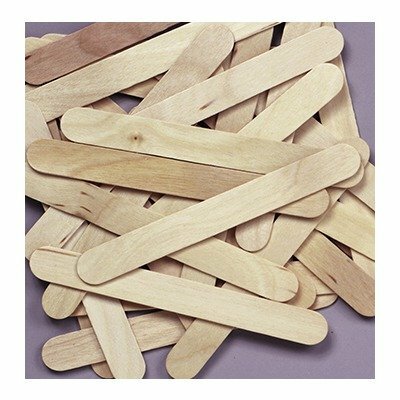 At the end of the post, we shared our own version of a rekenrek. 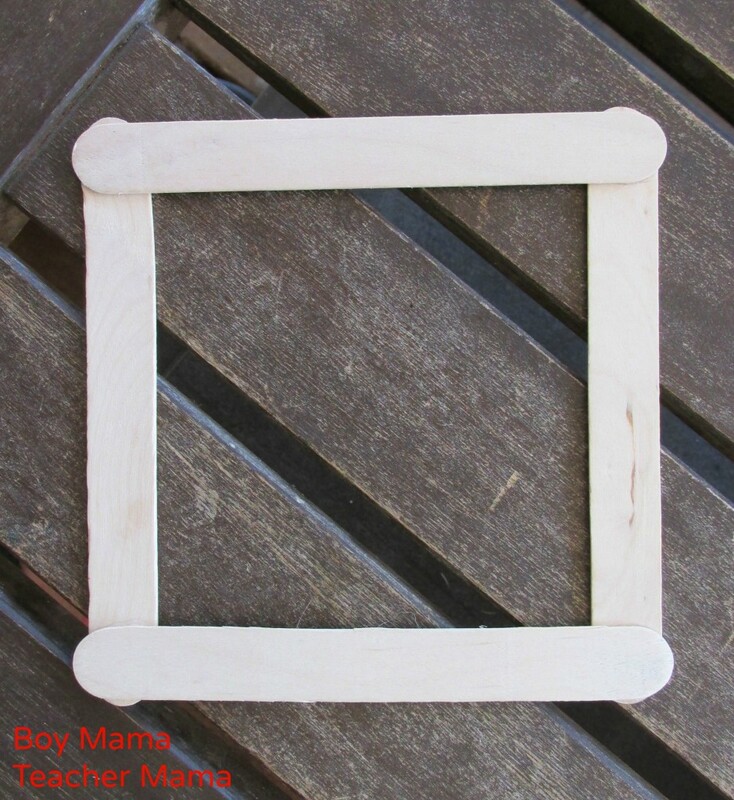 (See photo below) In this post, we will share how we made it! 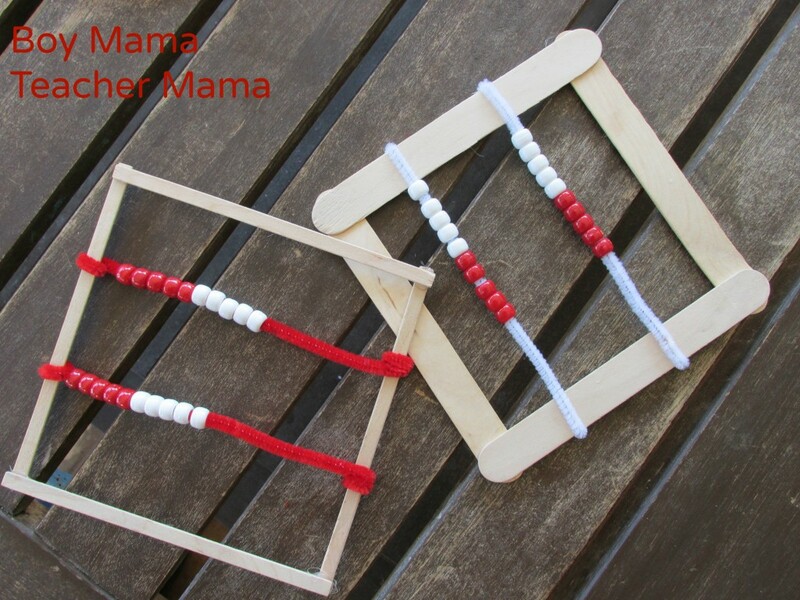 Hot glue 4 jumbo popsicle sticks together in a square. 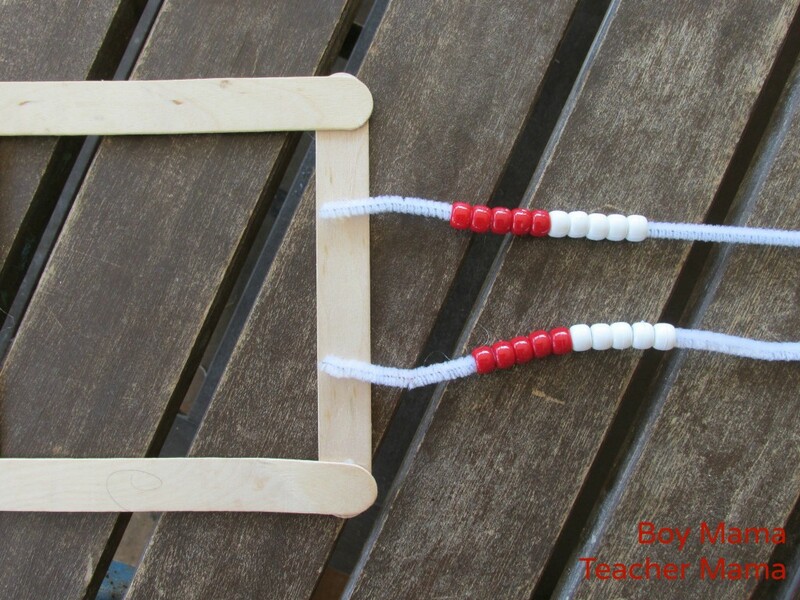 Hot glue two pipe cleaners to the back on one side. 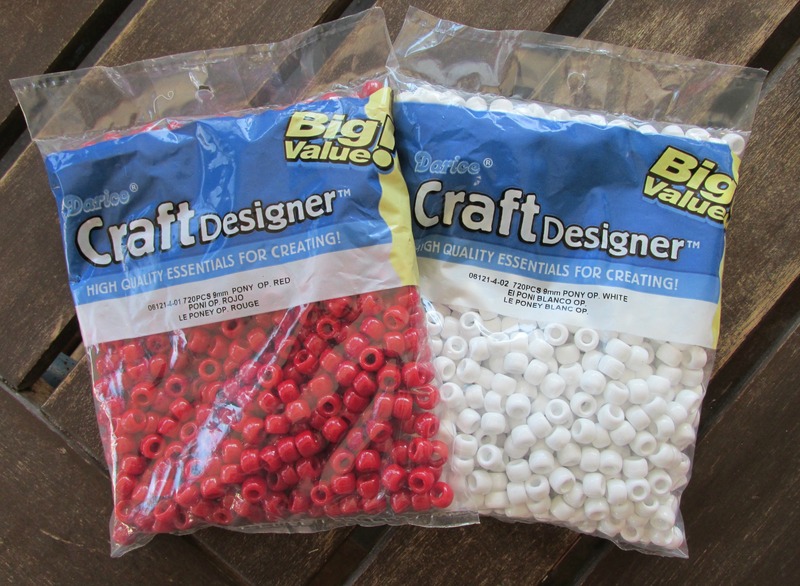 I used white, but you choose the color you like. 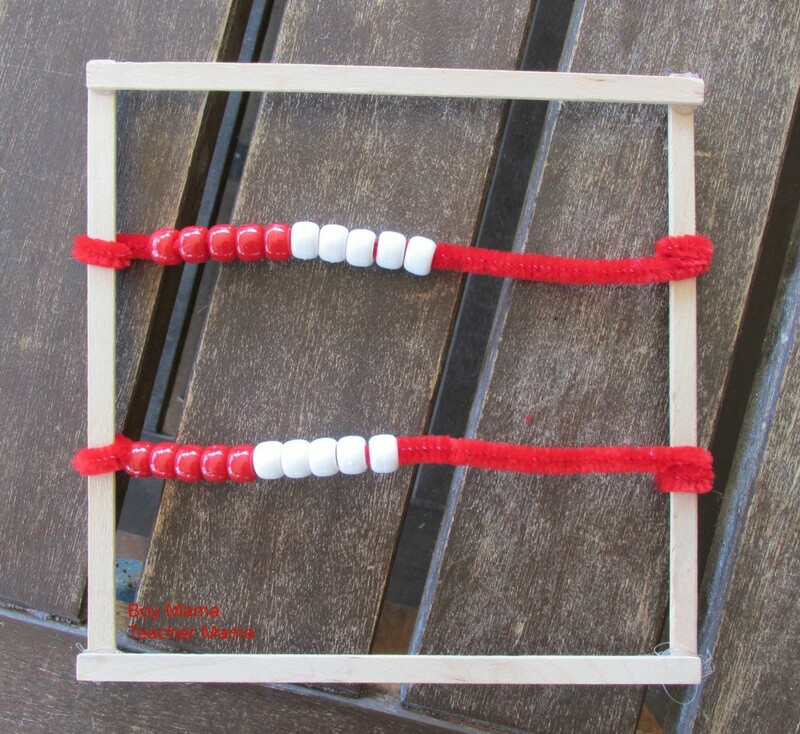 Add 5 white and 5 red beads to each pipe cleaner. 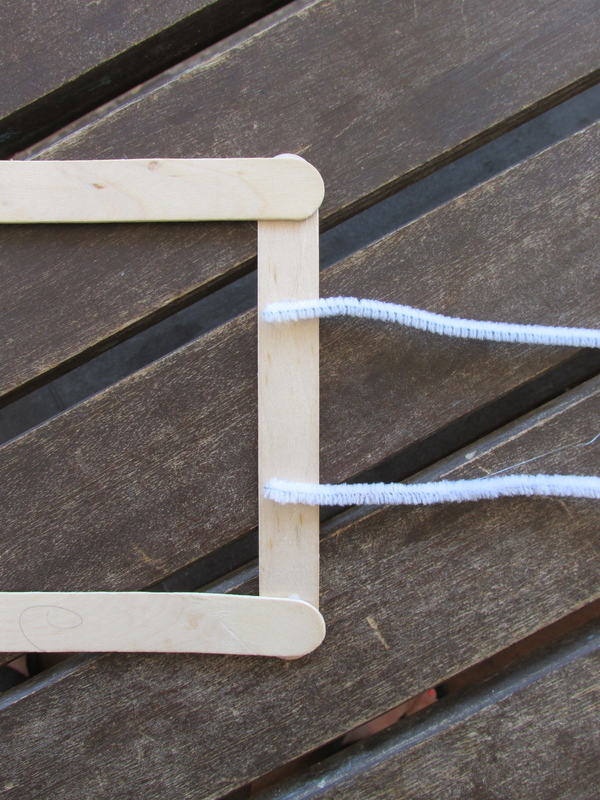 Hot glue the other end of the pipe cleaner to the back side of the wood frame. 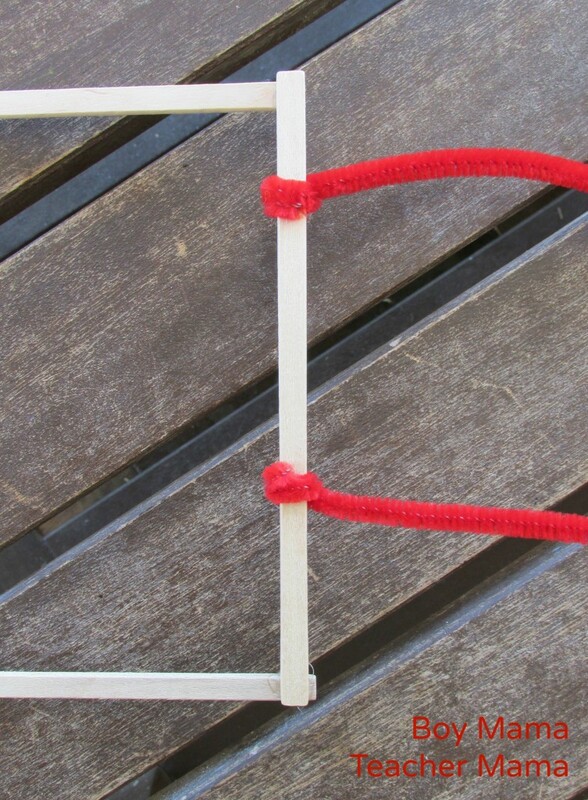 Cut off the excess pipe cleaner. 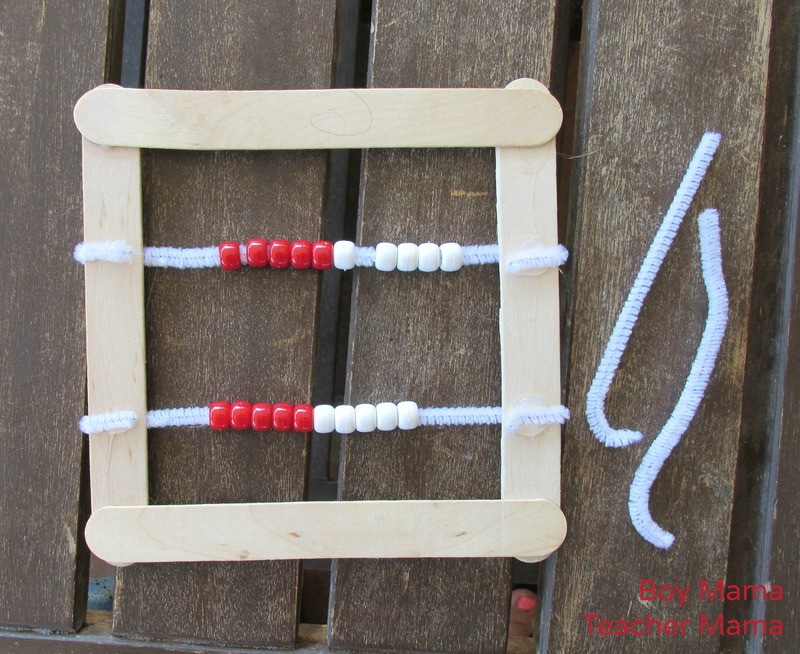 Now the rekenrek is complete and ready to use with your students! I also created a similar rekenrek using woodsies. 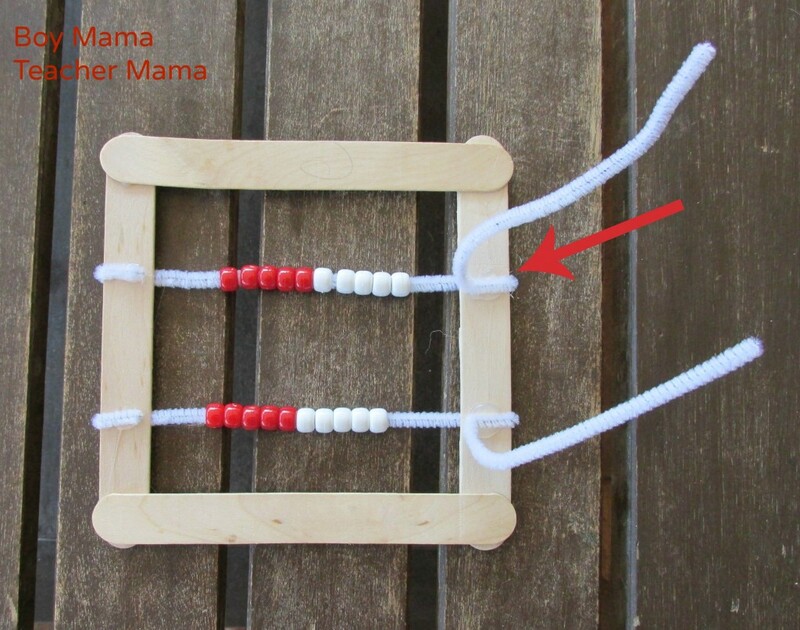 I created this rekenrek exactly the same way as above. 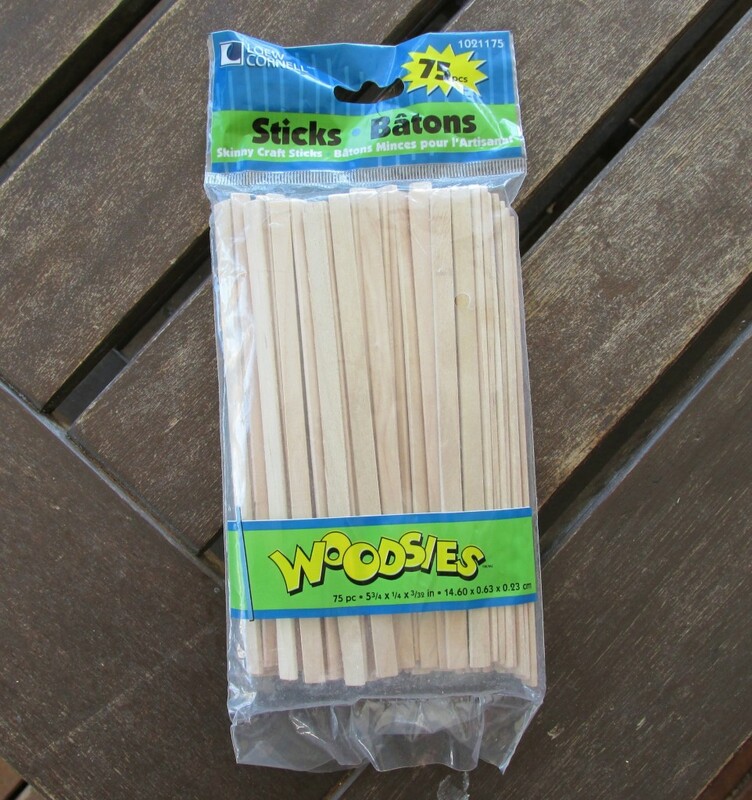 The difference is that I wrapped the pipe cleaners around the woodsies instead of hot gluing them. This version works fine, but is not quite as sturdy as the one using the jumbo craft sticks. 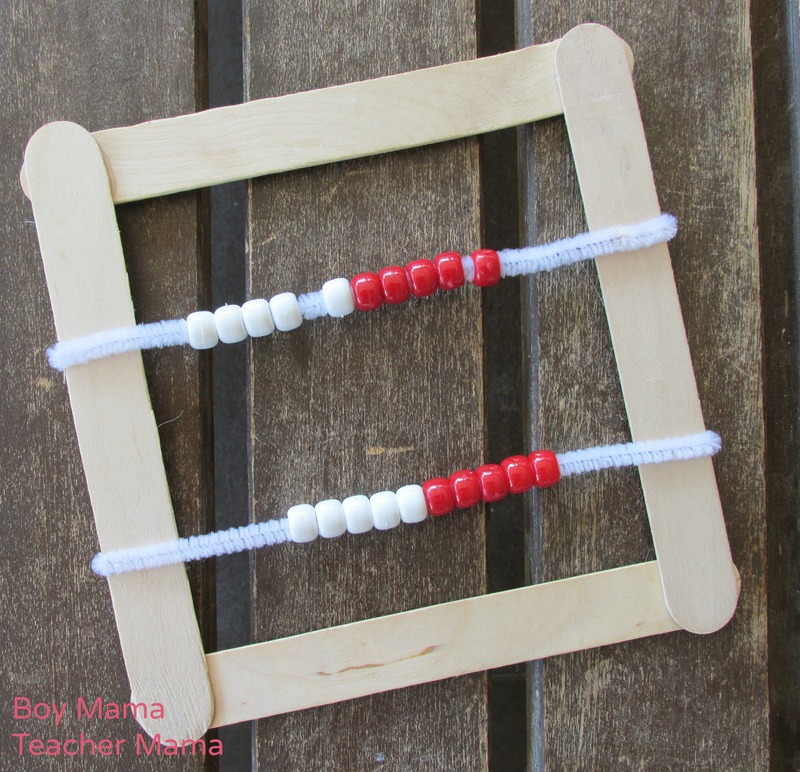 So, here are two simple versions of a rekenrek you can use at home or at school. Looking for other ways to make a rekenrek? 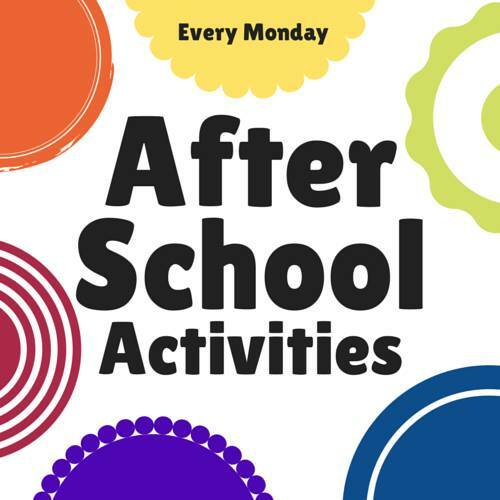 We took the summer off from the After School Linky, but we are back with tons of new ideas to support your children after the school day is done.